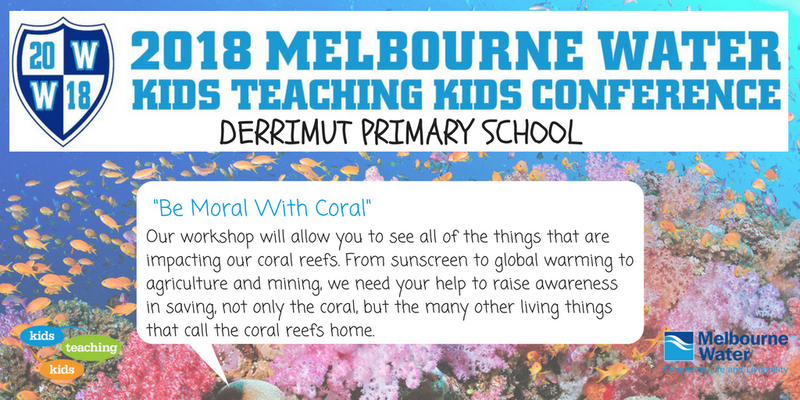 There is only a little over 3 months to go until we launch the 2018 Melbourne Water Kids Teaching Kids Conference! 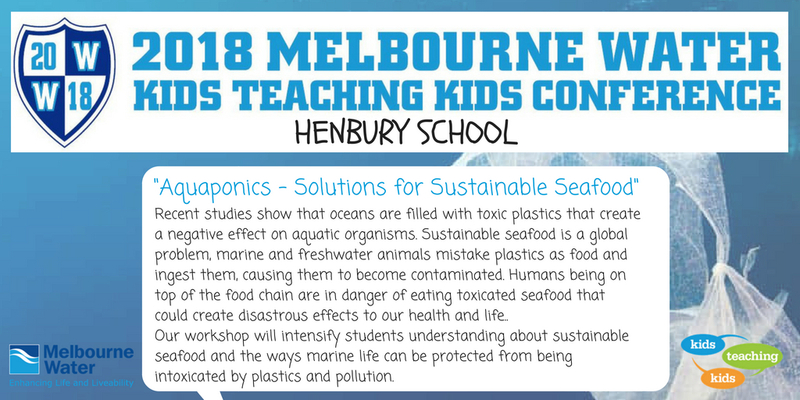 We have over 500 delegates from more than 50 schools including interstate representatives from South Australia, Western Australia, Queensland and the Northern Territory. The theme this year is all about the role water plays in creating healthy communities and liveable, resilient cities. Here is a little taste of how some schools are interpreting the theme for their presentations. Thanks for making MWKTK18 happen! 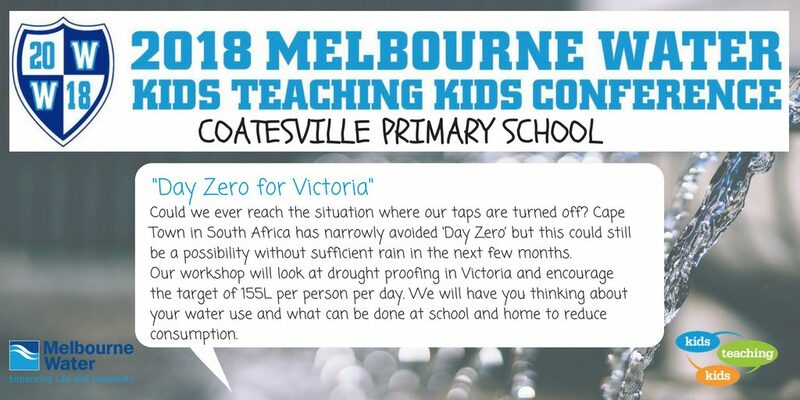 The Melbourne Water Kids Teaching Kids Conference could not happen without the involvement of all of our amazing sponsor organisations. We would like to thank you for your support of KTK and commitment to empowering the leaders of tomorrow to have their voice heard today.